The viral flowchart pitting working mothers against stay-at-home mums. The "offensive" flowchart that's outraging working mothers and stay-at-home mums alike. There has always been strong opinions on whether mothers should return to the workforce or stay at home with their children. And now it seems the controversial debate has been reignited once again. 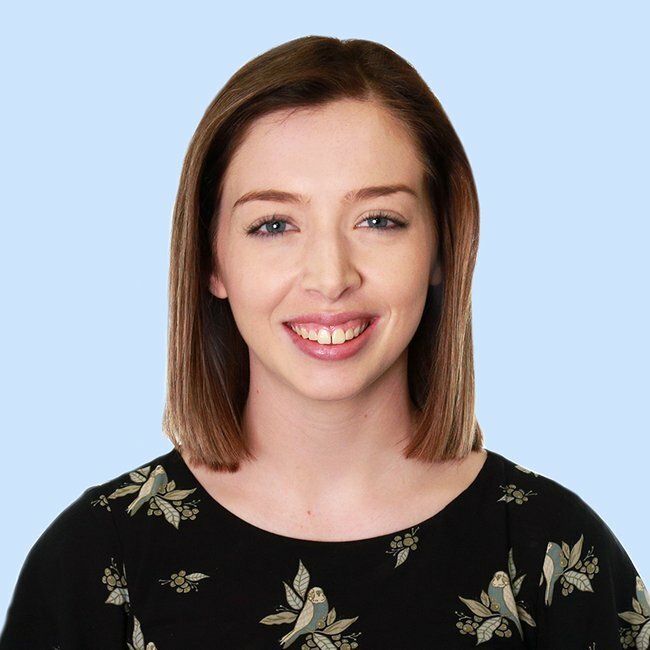 An American blogger has faced serious backlash online after she posted a handwritten flow chart on Facebook which claimed working mothers are “falling apart”. 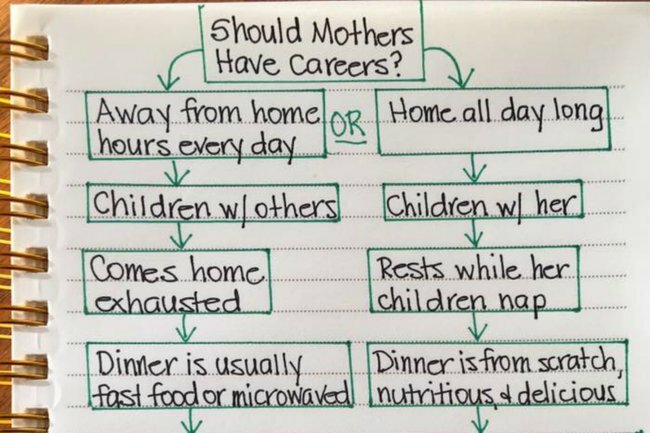 Conservative Christian Lori Alexander, who runs the blog The Transformed Wife, shared the flowchart titled “Should Mothers Have Careers?” which pitted stay-at-home mothers and working mums against each other. The flowchart also claimed that working mothers are “too tired for intimacy” while stay-at-home mothers are frequently intimate and even suggested that stay-at-home mothers are more capable of providing a “nutritious and delicious” dinner for their children than working mothers are. “Her life is fulfilling. Her husband and children rise up and call her blessed,” Alexander’s description of the stay-at-home mother read. On the other hand, she described working mothers as: “Her life is falling apart. She doesn’t feel like she’s a good wife or mother”. The blogger&apos;s post on Facebook subsequently received a lot of negative attention, with many woman accusing her of "shaming working mothers". "This is ridiculous and not true. It&apos;s so sad that you portray working mothers this way," one woman commented. "Can&apos;t say I&apos;ve ever seen a post that was equally offensive to working mothers AND stay at home mums," another woman wrote. "My having a job doesn&apos;t define my life or my roles as a mother/wife." Twitter users were just as outraged. My mom does it all without a husband and with a career. You’re little “would you rather” graph is bs and belittling women who exceeded societal expectations and have a career. How does having a career (as a woman) make you a neglecting mother? I&apos;ve done both. This concept is not accurate or realistic. It&apos;s an old lie we were told to shame us into staying home. Just bc a mother stays home, we can&apos;t assume she is a better mom who spends that extra time with her kids. Some kids of employed parents get more "quality time". Where is the "Should Fathers Have Careers" Chart? This isn&apos;t the first time mother-of-four Alexander has come under fire for her handwritten messages. Earlier this month she also shared a handwritten note about women being intimate with their husbands. "Women falsely believe if they don&apos;t "feel" like being intimate with their husband than they shouldn&apos;t have to be," she wrote. "We are commanded to not deprive our husband. We are instructed to deny ourselves, be living sacrifices and learn what pleases our husband." Let&apos;s just say that post didn&apos;t exactly go down well either. A study has shown that parents are better employees than non-parents. On This Glorious Mess, we discuss why that is true.